Every day two executions, a statistics which has been released by Center for Human Rights Activist in Iran since the coming to power of Rouhani on 3 August to 3 October 2013. However this situation has been changing in some cities of Iran. Further violations of human rights including “free speech, freedom of thought, protection of minorities’ rights, detention, torture and death”, have been reported at the border and underdeveloped areas. One of the areas that have been neglected is Kurdistan since 1979 Iranian revolution. Despite having natural resources and mineral reserves of precious kind, instead of being a gateway for tourism and free trade, it has become a double fear for the militarization of the region by the Iranian security forces. Iranian regime has always labelled the Kurds as “separatist” suffocating any dissenting voices in the country. In recent years it has been denying the Kurdish people of their cultural rights and political participation. Kurdish people’s struggle for their rights and freedom is considered red line even in the Iranian current laws. They are faced with a severe reaction by state apparatus. This has caused many prisoners including women and children to be placed under arrest and subsequent torture. 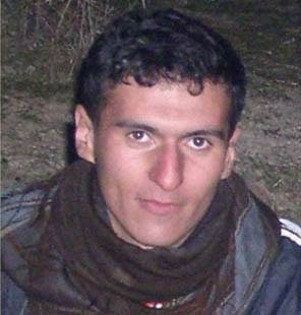 29 years old, Kurdish political prisoners Hebibulla Gulperipur was arrested by the intelligence service of of Mehabad in 2009 while he was heading off to Urmiye. Since then he has been subjected to degrading treatments and tortured severely by prison’s authorities in Sine, Kermashan and Urmiye. 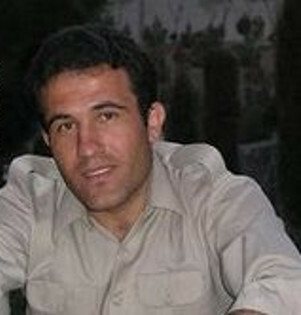 Then he was sentenced to death by branch one of Mehabad Revolutionary Court because of his affiliation with Free Life Party of Kurdistan (PJAK) and organizing Mothers Peace Association in Mehabad.Mr Gulperipur went on hunger strikes twice in protest to ill treatment and psychological torture he was subjected to during imprisonment and interrogation periods. In addition to that he was transferred to Semnan Central prison two years ago. Hebibulla Gulperipur was transferred to solitary confinement on 25th of October 2013 and he was hanged on 26th October in Urmiye prison in East Kurdistan (Rojhelat). 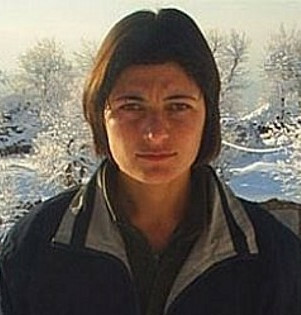 Kurdish political prisoner Zeyneb Celaliyan from Mako (East Kurdistan) was arrested in July 2007 by Kermashan security forces and sentenced to death on the charge of membership in PJAK. But in December 2011 the Supreme Court commuted the death sentence to life imprisonment.She was detained four months in cell while severely beaten for confession to the extent that her head was injured. The prison officials were forced to transfer her to the Kermanshah hospital. Based on the contact from Azarmehr Organization of Women of Kurdistan with Dr Mohammad Sharif, Celaliyan lawyer’s, said that her physical conditions is not good at all. According to latest reports, Celaliyan’s condition is very serious with the possible loss of vision. Despite all this, the prisons officials have denied her treatment. “I have been tortured for about two months in Urmiye prison cell. During this period, I was tortured by electrical shock, fake execution, being hanged upside down and flogged. Currently I am kept in one the most dangerous wards of the prison due to my political perspective and clearly state that I do not have personal security so I ask you and other human right organizations for pursuing my situation”. 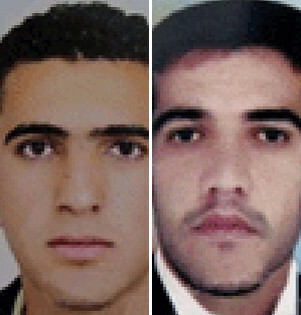 Two Kurdish political prisoners Zanyar and Luqman Muradi have been detained by Meriwan Intelligence Service 5 August 2009 on the charge of killing Meriwan Friday Prayer’s son. 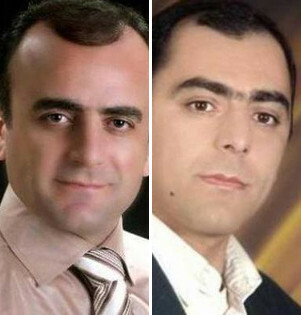 They have rejected these allegations calling it “intelligence scenario”.According to the International Campaign for Human Rights in Iran, the Sine judiciary is seeking execution of Zanyar and Luqman as soon as possible. It is notable they are detained in Rajaei Shahr prison-Karaj. 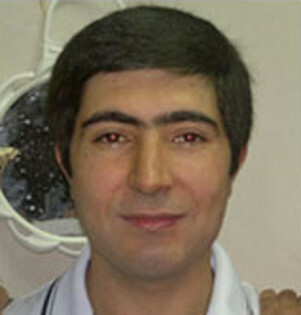 BA in Literature and student activist Xidir Resul Mirot, has been sentenced to three years imprisonment and five years suspended sentence by the Mehabad Revolutionary Court in August 2008.He was released after two years custody but Xidir was deprived of continuing his education nn master degree. According to NNS ROJ Agency Xidir Resul Mirot has been denied the right to counsel and has been taken for interrogation to Urmiye intelligence in recent weeks. Kurdish artist Faruq Samani and his brother Reza have been sentenced by Mehabad intelligence forces on the charge of acting against national security and cooperation with the Kurdish opposition parties.Quoted from NNS ROJ earlier Faruq Samani was tortured while held in Mehabad and Urmiye prison cells. “The present report does not detail all of the violations of human rights in the country reported to the Special Rapporteur, but does provide an overview of the prevailing human rights situation, with a focus on systemic issues that pose obstacles to the ability of the Islamic Republic of Iran to comply with its international human rights obligations”. “Furthermore, recent reports from former prisoners of Bandar Abbas, Evin, Karoun, Mahabad and Rajai Shahr prisons describe extremely poor conditions for all detainees. Interviewees continue to describe severe overcrowding, limited access to sanitation facilities and medical treatment, inadequate nutritional provisions and insufficient segregation of individuals convicted of violent crimes and those convicted of protected activities or otherwise non-violent acts”. “The government accepted 10 recommendations related to religious freedom during its universal periodic review of 2010, including recommendations to ensure the extension of rights guaranteed by international law to members of all religious groups. Allegations continue to be reported, however, that, in addition to being subjected to limitations on their rights to freedom of expression, assembly and association, members of recognized and unrecognized religions alike, including members of the Baha’i, Christian, Sunni Muslim, Yarsan and other religious communities, are increasingly subjected to various forms of legal discrimination, including in employment and education, and often face arbitrary detention, torture and ill-treatment”. “The General Assembly expressed its concern about violations of the human rights of persons belonging to ethnic, linguistic or other minorities, including Arabs, Azeris, Baluchis and Kurds and their advocates, and called upon the government to eliminate all forms of discrimination and other human rights violations against those persons in law and in practice (resolution 67/182)”. “Indiscriminate killings of kulbaran (border couriers), in violation of the domestic laws and international obligations of the Islamic Republic of Iran, continue to be reported. Human rights organizations report that at least 70 border couriers were killed and 68 wounded by government forces between March 2011 and April 2012. These reportedly unarmed couriers from the Kurdish-dominated provinces of Kermanshah, Kurdistan and West Azerbaijan appear to engage in smuggling such items as tea and tobacco because of inadequate employment opportunities”. “An individual interviewed for the present report mentioned that government forces often begin shooting immediately after issuing calls for individuals to halt movement. Under Iranian law, lethal force may be used only as a last resort, and in this case can be used only after ample warning and non-lethal attempts to apprehend unauthorized migrants have been explored, including warning shots and shots to immobilize individuals. 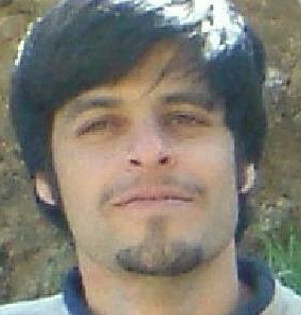 Another source reported that Pourmand Madhatniya was killed and three others were wounded by the Deputy Border Commander of Nosood in March 2011 outside a border control station in Kermanshah. The source reported that Mr. Madhatniya had been waiting outside of the border control station and had been indiscriminately fired upon by the guard during a scuffle over confiscated goods”. Although in the last 2 month some of the political prisoners were released from prison once Rouhani came to power, the Kurdish political prisoners were excluded from the amnesty. Contrary to Mr Rouhani’s election campaign slogans discriminatory policies still systematically implemented by his government and since his government came to power dozens of Kurds has been arrested. Currently there are 30 Kurdish political prisoners on death row in regime’s prisoners and they are on eminent risk of being executed. Islamic regime considers the political prisoners as hostages therefore their fate is at the mercy of the authorities and security departments.